Firewood is a good alternative to other home heating methods. The storage of firewood is important to protect both your home and investment. You must have the appropriate space and equipment to access and care for your firewood. Choose your storage location wisely. The key to keeping firewood seasoned and dry is to allow for air circulation. The most ideal place for firewood is an open ended wood shed that allows for stacking off of the ground Remember to choose a location that gives you easy access. On the coldest day of winter, how far will you have to go to get the firewood?. It may be tempting to keep firewood inside of your home but be very careful. Inspect wood thoroughly for bugs before you bring it inside. It is okay to have a small log rack near your fireplace to stack wood that you are currently using. But keeping large amounts of wood inside the house will leave you vulnerable to pests such as termites. Basements can be used if there are no air connections to the living areas or ways for pests to be transferred from the basement to the living areas. The same with garages. The absolute best place to store firewood is outside and away from the home. Outside of your house or shed, stack the firewood off the ground. 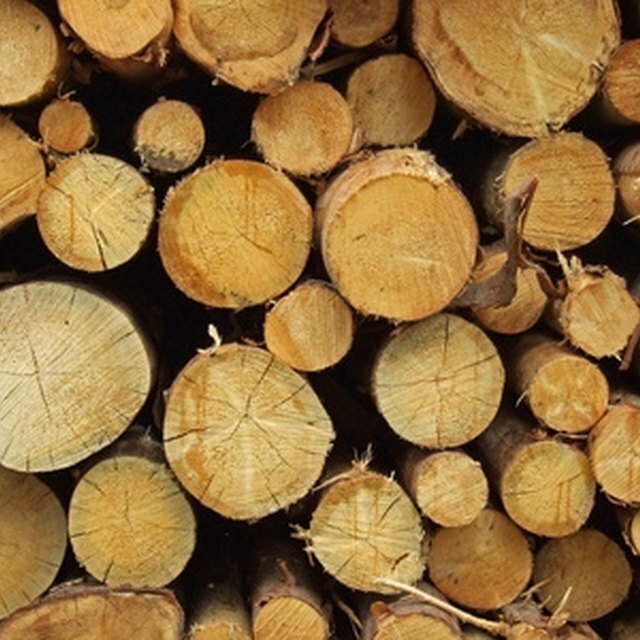 A homemade or store bought log rack should be kept a few inches off the ground. This will keep the wood dry and further protect it from insects. If you put the log racks on the ground (rather than on cement or a patio) it needs to be staked into the ground in order to stay stable. If the log rack begins to lean the whole pile can come falling down. Log racks should be kept a good 30 feet from the house. Firewood attracts a lot of insects and it is best to keep these pests away from your home. If you don't have the space to keep the wood far from the home, be sure not to stack the firewood against your home's wall. Leaving some room will give the firewood better air circulation and give your house a bit of protection. When stacking outside it is wise to have a cover for the log rack to protect the firewood during inclement weather. Retail stores sell log rack covers that have tie downs to keep it from flying away with the wind and have slits in the material to allow for air flow. You may use other covers like a simple nylon tarp but be certain to uncover the firewood on sunny days to allow the wood to dry and to remove moisture that may have gotten trapped under the cover. Many tarps have grommets so you can use rope to tie the cover to the log rack. Otherwise place rocks or wood on the tarp to hold it down. When the firewood is delivered or cut and ready for storage, prepare your storage area as listed above. Make sure that the area is level and stable. Stack the larger pieces of wood at the bottom of the pile in level rows. Check the area as you stack it to make sure that the pile is not leaning. It is much easier to adjust the pieces of wood in the beginning when there is less weight on it. Finally, don't stack the pile so high that it will be difficult for you to reach and/or the pile has a danger of leaning and falling over. Are Persimmon Trees Good for Firewood? What Type of Wood Causes Creosote in Wood Stoves? Can You Burn Poplar Wood?